One of the most gratifying things I do, aside from teaching, is volunteer work. Anything from Look Good Feel Better sessions with cancer patients and survivors to spa days with kids at a group home. There are so many opportunities for us to put love and compassion out into our communities through the career that we love. 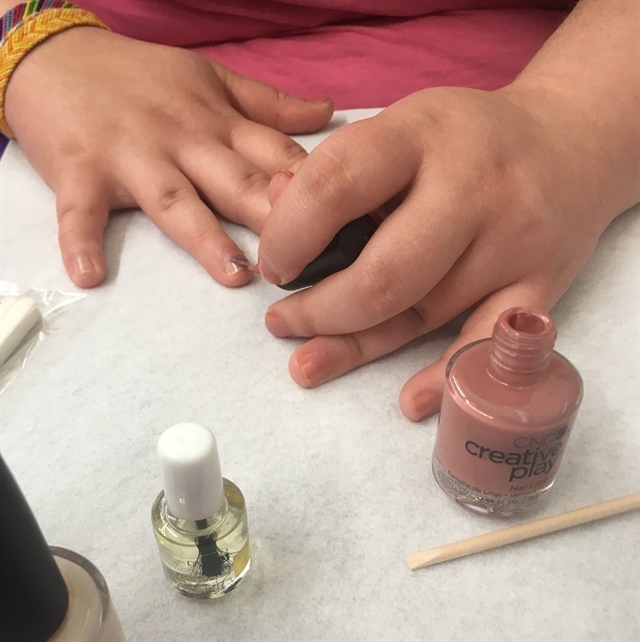 You can volunteer to help at a women’s shelter — even a basic manicure to clean up shape and cuticle work is a blessing. 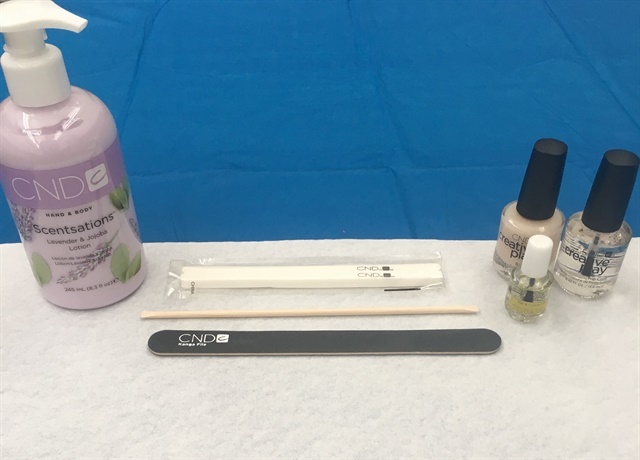 There’s donating out-of-season polishes to nursing homes to make room for more colors and keep clients’ polish choice from becoming a 15-minute ordeal. 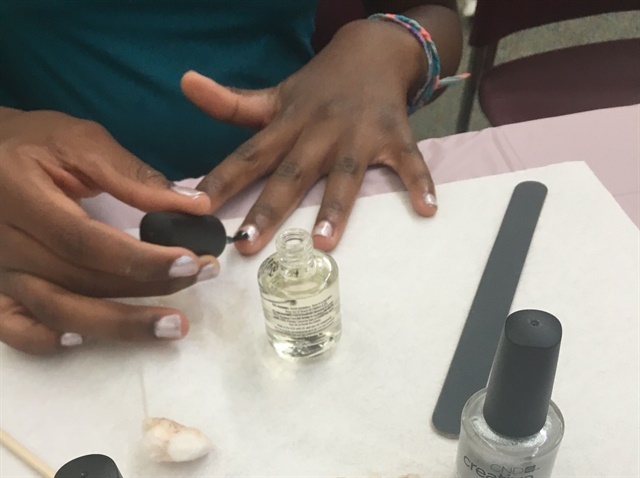 You can even pass out mini oils and a nail file to teen groups, while delivering some basic education on nail care and how to find a safe salon. 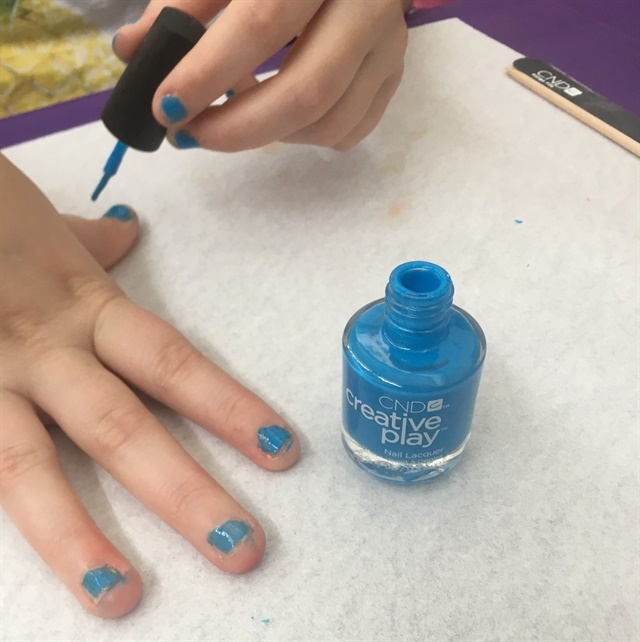 This week I had the privilege of working with some kids to show them how to take care of their own nails, from filing them for shape to applying polish with a little less mess than usual. 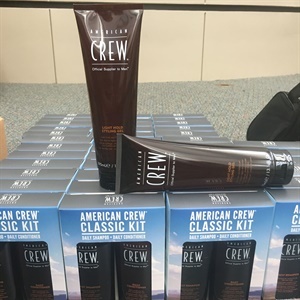 I was so proud to have CND send in polishes and a few extras for the girls, while American Crew hooked the boys up with shampoo and conditioner. They all loved the idea of having something for their very own that was salon quality. The boys liked learning about preventing hangnails with Solar Oil, and the girls loved reducing the time it took to clean up their nails after polishing. Thank you to Orchard Place for letting fellow nail professional Jen Conrath and I spend the day with your kids sharing our love for nail care! Thank you to CND and American Crew for making the kids feel special! Do you do some volunteer work that is industry related? I would love to hear about it and possibly have you write a guest blog! Please email me at [email protected].